The Associates Account is NOT RELATED to your seller account and termination of a Associates account does not have any impact whatsoever on your ability to sell products on Amazon.com. In fact, Amazon Associates would previously terminate your Associates Account for failure to generate referrals every 180 days which required re-registration to keep credentials valid. 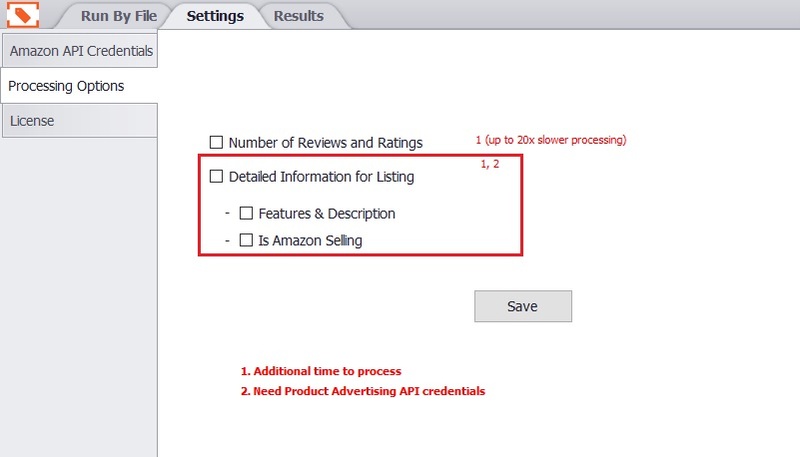 In order to be overly cautious while we explore this further with Amazon, we are advising our customers that do not use these credentials for Affiliate/Referral business to disable Product Advertising API features by leaving the options shown in red box below unchecked. To reiterate, these actions by Amazon have no impact on your seller account whatsoever and the use of Marketplace API credentials (which ARE required to run the program) is completely acceptable by Amazon and within its terms of service. I’m going to sign up for your program. I really think it will help my online business. My question is now that the API feature is not available does that mean that we won’t have the ability to see if Amazon is a seller? What other features will we be limited too? Yes, the is Amazon Seller data is currently impacted, not just for AMZ Analyzer but any similar program out there is impacted as well. The good news is we think we have a solution we’re working on which should be released as a software update to all customers within the next 2-4 weeks. Hope you give us a try!